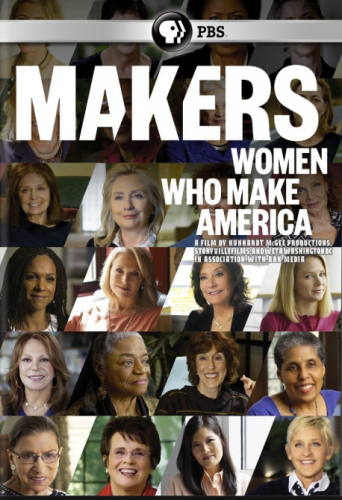 MAKERS: Women Who Make America is a multi-platform initiative, undertaken with PBS and AOL, that will tell the compelling story of women’s advancement in America over the past 50 years. Over the last half-century, America has seen one of the most sweeping social revolutions in its history, as women have asserted their rights to a full and fair share of political power, economic opportunity, and personal autonomy. It’s a revolution that has unfolded in public and private, on grand stages like the Supreme Court and Congress, and humbler ones like the boardroom and the bedroom. No individual, nor any aspect of American life, has not been changed. MAKERS is a landmark television and digital video initiative founded by Emmy Award-winning filmmaker Dyllan McGee (HBO’s Gloria: In Her Own Words) in partnership with PBS and AOL. Expanding on the critically acclaimed PBS documentary MAKERS: Women Who Make America, which told the story of the modern American women’s movement, each documentary in this six-part series examines the impact of the women’s movement on six fields once largely closed to women: business, space, Hollywood, comedy, war and politics.